Among all the announcements Apple made last week, the one Wall Street seemed most excited about was Apple Pay. Apple has done an admirable job of managing partnerships on with merchants and banking companies, but driving consumer adoption may be more challenging. If implemented correctly, Apple's rumoured loyalty program could ease the way for mobile payments. Many attempts have been made to explain the lack of traction seen by mobile payments -- ranging from infrastructure problems to a lack of trust. In my opinion, the primary reason for this is that credit cards seem to be "good enough" for most consumers. As a result, consumers don't see enough value to change a habit even if a new payment system is superior (measured by security, ease of use, etc.). While technology enthusiasts may remember to pull out their device at a payment terminal, the vast majority of consumers will instinctively reach for their card. Therefore, the success or failure of any mobile payment solution will depend on overcoming this challenge. Apple would be wise to follow the lead of companies that have managed to overcome this problem on a smaller scale. Both Starbucks and WeChat have enjoyed a fair amount of success with their mobile payment solutions. While they have used different approaches, the factors driving their success remain the same -- they provide more value to consumers than simply enabling easy payments from a device. Starbucks, for example, uses their app as a loyalty card combined with a payment solution. The app awards stars, at various "experience levels", every time a payment is made. Users are rewarded (with free refills, etc.) when they collect enough stars to reach a new level. While mobile payments were convenient, it was Starbucks' rewards program and gamification that made the service sticky. Unlike Starbucks' internally developed solution, WeChat's mobile payments target other retailers. Mobile payments and loyalty cards are enabled for select retail chains when users follow their page on WeChat. For example, Pacific Coffee's brand page allows consumers to place orders and make payments on the app even before they walk into the store (Starbucks plans to implement this as well). 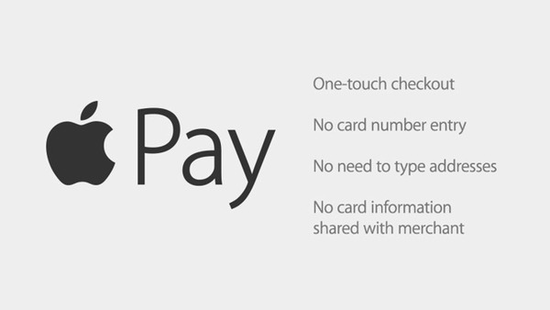 In other words, it added convenience and moved payments to a context where pulling out a card wasn't even an option. As these examples have shown, Apple needs to focus on adding value on top of its payment solution to drive adoption. This could be accomplished in a few different ways, but my guess is that direct partnerships with retailers would have the best odds of success. Luckily for Apple, the added costs of a loyalty program are immaterial as long as it makes their hardware more attractive.